Elder abuse is an all-too-common problem in Florida. The state’s most vulnerable residents are frequently the victims of unscrupulous strangers, caregivers, and even family members who take advantage of the person’s declining mental and physical condition. In theory, Florida law protects these individuals through the appointment of a guardian–either a close relative or a trained fiduciary authorized to make financial and care decisions for a disabled person. No single law, of course, will stop the exploitation of Florida’s elder population. In most cases the best way to prevent abuse is to act before it starts. Proper estate planning can help. 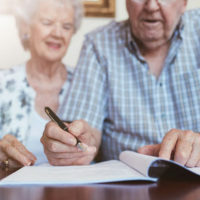 Before you find yourself in a situation where a guardianship may be necessary, you should have a signed power of attorney and other documents, such as a trust, ensuring that any decisions regarding your assets and personal care are made by people you trust. You should also work with an experienced Fort Myers estate planning lawyer. Contact the Kuhn Law Firm, P.A., today at 239-333-4529 to schedule a free initial consultation. “Fix Florida’s elder guardianship program,” The Sun-Sentinel, April 10, 2015. Monique Judge, “Is the Adult Guardianship and Probate Court System Being Used to Exploit Elderly People for Profit?,” The Root, Oct. 10, 2017. United States Senate Committee on the Judiciary, “Elder Abuse Prevention and Prosecution Act”, Sen. Rept. 115-9, March 23 2017.